I stood beside the guys as we stared back at Kane, The New Age Outlaws and Summer across the ring. The ref came over and told us to get on the apron. We decided on Seth to start as Dean, Roman and I all got on the apron. I kept my eyes on Summer as Seth went at it with Roaddog. All the pain I suffered from the Wyatts was all her fault and she was about to pay for it. I couldn&apos;t wait to take my anger out on her. My gaze averted to the ring as Rosddog took control of Seth and tagged in Kane. I started tapping my foot against the apron nervously. Seth was able to fight out of it and tag in Roman. Roman started bulldozing Kane over, obviously able to move faster then the 300 giant. Kane tagged out to Billy, but Roman was ready. He slammed his fist under Billy&apos;s chin before dropping him with a Samoan drop. I held my hand out and Roman tagged me in without hesitating. I grabbed Billy and did a neck breaker. "And Gabby enters the match for the first time," Cole announced. I glanced over at Summer as I kicked Billy in the gut, "You want some of me?" "I don&apos;t think so," Summer retorted, waving me off. I rolled my eyes and tagged Seth in. The match went back and forth until they started taking control of Seth in their corner. "Seth needs to make a tag," Cole said. I held my hand out at full extension as Seth crawled towards me and tagged. Summer tagged in. "Here we go! 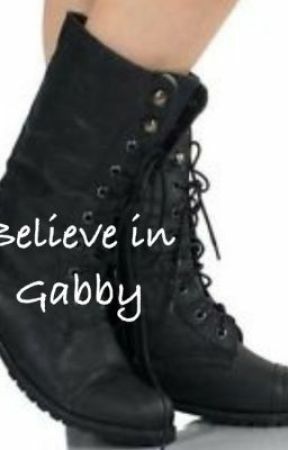 This is exactly what Gabby wanted!" Jerry exclaimed. I ran to Summer and took her downwind slammed her with punches. Summer screamed and kicked as she tried to get me off of her, but I just continued slamming my fist into her face. "She&apos;s going to kill her!" JBL exclaimed. Kane got in the ring and grabbed me by the hair. I yelped in pain as I grabbed his wrists, trying to get myself free. Dean ran in from our corner and took out Kane. The New Age Outlaws ran in, but were stopped by Seth and Roman. "And now everyone&apos;s going at it!" Jerry exclaimed in excitement. We cleared the ring other then The New Age Outlaws. I pointed at Roman, "Lets do it." Seth and Dean each grabbed one of the outlaws and set them on Roman&apos;s shoulder. He delivered a double triple power bomb. I grabbed Summer and put her on my back before throwing her foreword, causing her to land face first. I went into the pin and closed my eyes, counting along with the ref in my head. I shoved Summer away as I held my head. I felt like crying. I had finally had my Wrestlemania moment. Seth was the first one to get in the ring. I ran over and gave him a hug, which he returned. Roman walked over and I also gave him one. Dean climbed in the ring. I stared at him for a second before I ran over and lept into his arms. He twirled me around before our lips met. The crowd around us went crazy as we broke apart. I smiled at Dean and blushed a little. "Keep it PG, guys," Seth walked over and put an arm around me. "Until we get backstage that is," Roman came beside Dean and put an arm around his shoulder. Dean and I did the same. "The Shield is victorious at Wrestlemania!" Jerry exclaimed. "Theirs going to be hell to pay," JBL muttered. I didn&apos;t care what would happen tomorrow or even a week from now. I was just going to enjoy this moment. My moment. My Wrestlemania Moment.